While the idea of growing your own food sounds amazing, not everyone has the land or space to make this happen, not to mention the time it takes to cultivate and grow a garden. Luckily, there are several vegetables that do very well in small container gardens or even a standard flower pot. Easy to grow and even easier to harvest, you’ll love being able to grab some fresh veggies for your meals, no matter where you live. Lettuce has long been a popular vegetable for container gardens because it grows quickly, can be harvested all summer and provides easy access for salads on a daily basis. There are several varieties of lettuce that grow well in either small box containers or 6-12 inch pots. Use a professional soil mix and plant seeds directly into the container of your choosing. 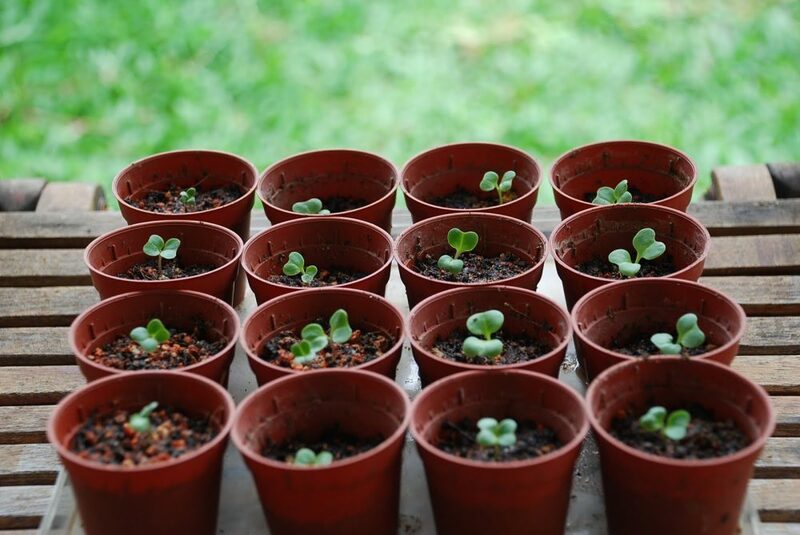 You can plant in early spring as long as you bring the pot inside on those days when it’s still frosty, and be sure to get seeds that are marked as being “cut and come again,” which means they will continue growing as you harvest leaves over the growing season. 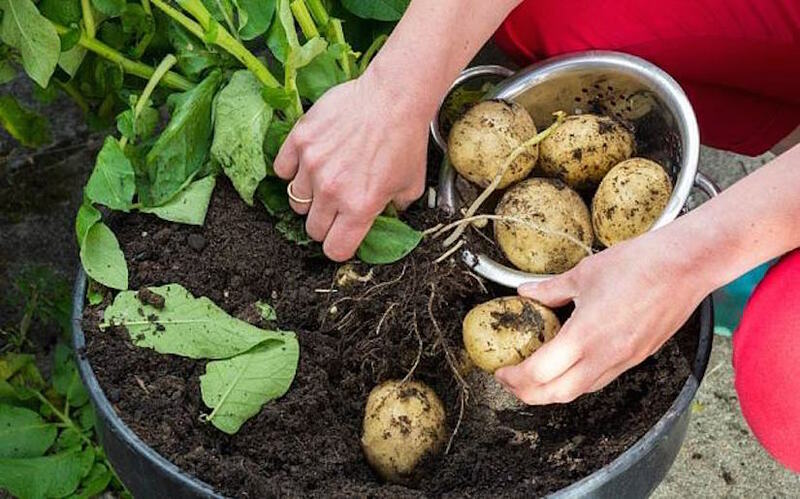 One of the most versatile vegetables for container planting, potatoes can be grown in just about anything, from a plastic food container to a burlap bag. Choose a varietal that matures early and always get certified seed potatoes to make sure they are disease-free. Any type of soil works well, just make sure the container you use has proper drainage. Potato seedlings love full sun, so a patio, deck or even a sunny windowsill is an excellent place to keep them. Tomatoes are surprisingly simple to grow in containers, giving you that freshly grown flavor that you just can’t get from grocery store tomatoes. They do need a larger pot to grow comfortably, since their root system can be extensive over time. Pick a pot at least 18 inches in diameter and use high quality gardening soil, as regular topsoil can be too heavy. 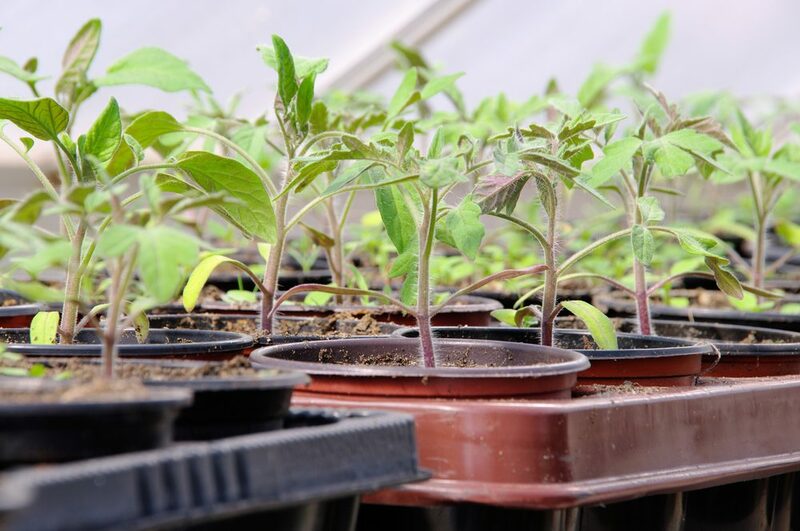 It’s best to wait to plant until all danger of frost has passed, and use a tomato cage or sturdy stakes to support the plants as they grow. There’s no easier way to get your daily dose of greens than from growing kale at home. Kale doesn’t need a ton of space, so a smaller planter works well, or you can even plant it with your annuals in your flower pots! Use a good potting soil and a container with plenty of drainage, and make sure the plants get at least six hours of sunlight a day. Kale can grow in containers year-round in many climates, and if you leave 3-4 leaves on it each time you harvest, it will continue to grow. Zucchini, a hearty vegetable so prolific it is sometimes considered the bane of backyard gardeners, is another easy candidate for container gardens. The plants get quite large, upwards of three feet in diameter, so you’ll need either a very big flower pot or another large container (storage bins work great for this). You can plant from seeds or buy starters, both grow equally well. Plant in full sunlight and use planters with good drainage.